One of science fiction’s greatest fantasies, the floating city, will soon be a reality. Thanks to a process that pulls millions of tons of helium from the moon’s surface, it will soon be quite inexpensive to build massive floating structures, starting with dirigibles, moving on to temporary event venues in the sky (sky weddings will be especially popular), later hotels, and culminating in an actual city built in the clouds. The city will be the brainchild of a consortium of international developers, and the cost will be billions of dollars, but the resulting city will be extraordinary. It will house tens of thousands, be able to travel wherever it wishes, and its primary industry, of course, will be tourism. 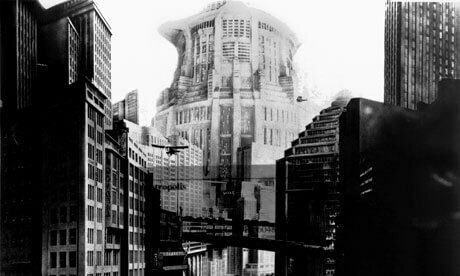 The city will last for hundreds of years, slowly growing decrepit as newer, more extraordinary sky cities develop. It will end its long history on a beach on the West Coast of Africa, no longer capable of flight, used by refugees and squatters as temporary shelter.